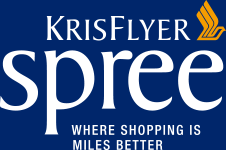 Browse KrisFlyer Spree and find a merchant you’d like to purchase from. Log in and then simply click on “Shop Now” and you’ll be linked through to the merchant's website. Shop and pay for your purchases at the merchant’s website as you normally would. We’ll track your purchases automatically and calculate how many miles you’ve earned. 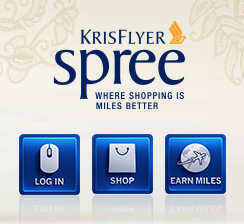 Your transaction and eligible miles will first appear as “Pending” in your KrisFlyer Spree account. If they do not appear after 5 working days, please fill up the Missing Miles form. Any claim for missing KrisFlyer miles must be made to us in writing within 60 days of your purchase. Your account will be updated to show your miles as "Approved" when we have validated your purchase with the merchant. Pending and approved transactions are the sole responsibility of the merchant from whom a purchase is made. Merchants typically take 90 days (unless otherwise stated) to acknowledge and validate transactions. In the event where your transaction is not validated within the indicated timeline, it could be possible that there is a delay in validation from the merchant. Please allow us another 30 days for the merchant to validation the transaction. If your transaction status is not updated to ‘Approved’ by then, please contact our Customer Support for assistance. Kindly note that for hotel/travel purchases, the 90 day merchant validation process will apply only after stay/travel has been completed. Your purchases are subject to the merchants’ terms and conditions. All "Approved" miles will be credited into your KrisFlyer account within 7 working days. Please check for the credited miles on your KrisFlyer account statement based on the transaction date. Enable your Internet browser cookies to be sure your miles will be awarded to your KrisFlyer Spree Account. Cookies are used to track your path from KrisFlyer Spree to the merchant’s website and enable us to allocate the miles you earn from your purchase to your KrisFlyer Spree account. For more information on cookies click here.